Sadly missed by his loving wife Agatha nee Kirby, sons Neil (Castlebar), Shane (Montpellier, France), Frankie (Kilmeena), Bobby & Paul (Cogaula), daughter Cepta Oldfield (Cogaula), son-in-law Ross, daughters-in-law Isabelle, Michelle & Fidelma, grandchildren Fabien, Sophie, Amy, Emily, Max, Adam, Jesse-Lee & Niamh, brother Tony (Dublin), sister-in-law Connie (Cogaula), Aunt Peg Loftus (Sligo), relatives, neighbours and friends. Reposing at St. Aidan's Room adjoining St. Patrick's Church, Islandeady on Sunday evening from 5 o’clock with removal at 7 o’clock to the Church. Requiem Mass on Monday at 12 noon with the funeral proceeding to Fahy cemetery. Family flowers only. Donations if desired to The Irish Stoke Foundation, c/o McGing Funeral Directors, Westport. (Retd.) Director of Cavalry Corps. Late of Kanturk. After a short illness borne with great dignity, courage and humour, surrounded by his loving family and in the exceptional care of the staff of St. Brigid's Hospice, The Curragh. Beloved husband of Eileen for fifty eight years, dearly loved father of Hugo, Ann, David and Conor.Deeply missed by his daughters-in-law Fiona, Linda and Audrey and affectionately " Popeye " to his precious grandchildren Andrew (and wife Clíona), Alyson, India, Portia, Katie, Holly, Alex, Coco and Johnny, his extended family and many friends. Reposing at home from 5pm to 7pm on Tuesday, 12th. Removal from home on Wednesday, 13th, at 1.30pm for 2pm Funeral Mass in the Carmelite Church, Kildare Town. Cremation Service at 3pm on Thursday 14th in Mount Jerome, Harold's Cross, all welcome. Family flowers only please. Donations, if desired, to Friends of St. Brigid's Hospice, The Curragh. Donation box in Church. John Grace, Annamult Road, Bennettsbridge, Kilkenny, at Aut Even Hospital, Kilkenny (Peacefully). Deeply regretted by his loving wife Rita, sons Fintan, Conor and Martin, grandchildren Aoife, Aine and Tom, family, relatives, neighbours and friends. Reposing in St Columba's Thomastown (eircode: R95 YY96), from 5pm to 7pm on Friday (22nd Feb). 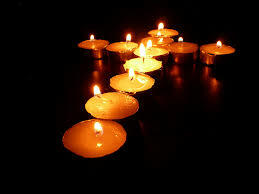 Requiem Mass in St Michael's Church Danesfort (eircode: R95 NY77) at 11am on Saturday (23rd Feb). Burial afterwards in the adjoining cemetery. John was a member of Post 8 Kilkeeny. May he rest in peace. Duty done. Roe Anthony (Tony) Comdt. (Retd) Balally, Dublin, 27th of April 2018 (peacefully) at Our Lady’s Hospice, Harold’s Cross, surrounded by his family. Beloved husband of Lilian and much loved father of Gerard, Anthony, Stephen, Dorothy and Michael. He will be greatly missed by his family, his sisters Marie and Linda, daughters-in-law Susan, Maeve and Edel. Anthony’s partner Mary Jane, and Dorothy’s partner Dan. Grandchildren Cillian, Cliodhna, Adam, Ben, Eleanor, Katie and Emma, brothers-in-law, sisters-in-law, nieces, nephews, extended family, friends from his Scouting family and former colleagues from the Defence Forces. Reposing on Saturday (28th April) from 3.00 pm until 5.00 pm in Fanagans Funeral Home, Dundrum. Removal on Monday morning (30th April) to Church of the Ascension of the Lord, Balally for Requiem Mass at 10.00 am followed by burial at Deans Grange Cemetery. No flowers please, donations, if desired, to Dr. K. Fadalla Haematologist, St. Vincent’s University Hospital, Research into MDS (Myelodysplastic Syndrome) or 137th Balally Scouts. Reposing in George Mullins funeral home Kilcullen Road Nass on Sunday 18 March between 1400 hrs and 1700 hrs - prayers at 1600 hrs . Funeral mass Monday morning 19 March in St Brigid’s church Curragh Camp Co Kildare at 11 am follow by Cremation in Newlands crematorium. May Dan Rest In Peace and Condolence to his wife Carmel and family . Post 27 will be doing Guard of Honour on Monday morning will be meeting at the fire station cross for church at 1030 sharp to meet Dan's remains coming in from the funeral home and outside the church both going in and after mass Anto Byrne from Iunva pipe band will be playing the lament on the Pipes. I regret to inform you that Sgt Dan Garland (Retd) passed away this morning. He was a young Tpr on the early 2 Mot Sqn EOHs when the unit took over the escorts from 4 Mot sqn. He served as a Cpl with A Coy 32 Inf Bn ONUC, the first DF overseas peacekeeping unit. He served with 11 Mot Sqn An Fórsa Cosanta Áitiúil and he re-joined the PDF after a period on full-time service as a reservist. Funeral arrangements have not been finalised but it is expected that the funeral mass will be at Arbour Hill Church on Wed morning. Condolences to his family and friends. May he rest in peace. The following are the arrangements for the funeral of our comrade Dan Garland R.I.P. Arriving at Arbour hill Church Tomorrow evening the 13th Of February at 17.00 hrs. Burial after 11.00 hrs Mass on Wednesday morning the 14th February to Glasnevin Cemetery. McMAHON, Gerard (Gerry), Lt. Gen (Retd), DSM (Moorefield Drive, Newbridge, Co. Kildare) - 19th January 2018 (peacefully) in the excellent care of the staff at Blackrock Clinic. Sadly missed by his wife Ann, sons Garret, Aengus and Félim, daughters-in-law Linda and Clodagh, sister Mona, grandchildren Áine and Ruarí, nieces and nephews, extended family, former Defence Forces colleagues and friends. Reposing at Anderson & Leahy's Funeral Home, Newbridge on Monday from 4 o'clock with prayers at 7 o'clock. Removal on Tuesday morning at 9.15 o'clock to arrive at Cill Mhuire, Ballymany for Mass at 10 o'clock. Funeral afterwards to Newlands Cross Crematorium. Family flowers only please. Donations, if desired, to the O.NE. (Organisation of National Ex Servicemen). Donations box in the Church. Post 24 has just learned of the passing of Joe Touchstone who served in 12th Bn Limerick and Clonmel, May he rest in Peace. Arrangements reposing at Mcmahon's funeral home Blackwater from 5.30 to 6.30 Monday night, removal to Meelick church. Funeral mass 11.30 Tuesday to Ballycannon cemetery. Following an accident on Tuesday, June 9th, 2015. It is with deep sorrow that we have to inform of the passing of Billy Allen, from Post 20 Mullingar.